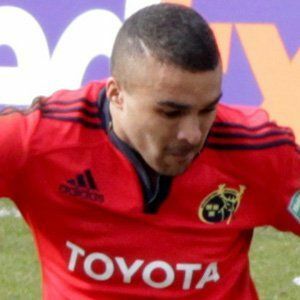 Irish fullback who by 2013 had scored 100 points for Munster after joining the squad in 2010. He graduated from Presentation Brothers College before starting his professional career at age 20. He joined Ireland's national team in 2012, after playing for the U20 team in 2010. He grew up with a sister named Jessika. He became teammates with Michael Bent on Ireland's national rugby team in 2012.